DIN, ASTM, BS Screws, Stainless Steel countersunk slotted screw, Duplex & Super Duplex Steel socket cap screw, Alloy Steel hex screw, Screws Manufacturer & Stockist in Mumbai, India. Asiad Steels is one of the renowned manufacturers, exporters and suppliers of DUPLEX S31803 hex cap screw, which can easily be welded by gas-tungsten arc, gas metal arc or shielded metal arc processes using appropriate filler metals. Asiad Steels is one of the quality manufacturers and supplier of SUPER DUPLEX UNS S32750 hex screwin different forms. It is particularly resistant to hydrochloric and hydrofluoric acids when they are de-aerated. Like most other nickel alloys, Stainless Steel hex screw is typically tough to machine and will work harden. However, excellent results can be obtained if you make the correct choices for tooling and machining. The alloy is slightly magnetic at room temperature. The INCONEL 625 socket cap screw has many important properties that make it an attractive option for areas where corrosion resistance is of the highest priority. 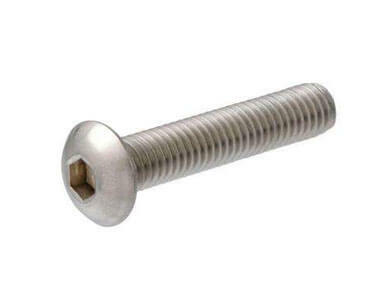 HASTELLOY C 276 countersunk slotted screw are nickel-based alloys that contain between 29 and 34 percent copper. Due to its resistance to deterioration, Monel Machine screw is most often used in parts found in marine and chemical environments. A low corrosion rate in rapidly flowing brackish or seawater combined with excellent resistance to stress-corrosion cracking in most freshwaters, and its resistance to a variety of corrosive conditions led to its wide use in marine applications and other non-oxidizing chloride solutions. In the annealed condition Nickel allen cap screw is an alloy that is easy to form and fabricate with no requirements for additional heat treatments to re-balance the alloy. 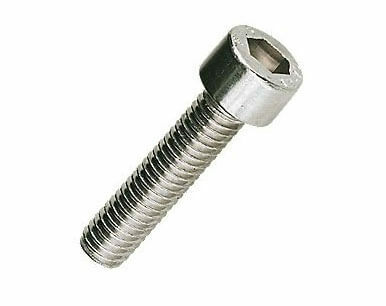 Nickel Alloy hex cap screw, Titanium Gr.2 Wood Screw, Hastelloy B3 Coach screws / Lag screw, Screws, Drywall Screw, Chipboard Screw, Concrete Screw Supplier & Exporter in India. Screw, Hex Set Screw, Socket Screw, Cap Screw, Pan Head Screw, Machine Screw, Socket Head Cap Screw, Allen Cap screw, Wing Screw. We are Exporter of Screws in Worldwide Such as India, Serbia, United Arab Emirates, Lebanon, Kazakhstan, Zimbabwe, Peru, Azerbaijan, Argentina, Belarus, Hungary, Nigeria, Spain, Canada, Estonia, Gabon, Ecuador, Yemen, Netherlands, Lithuania, Bolivia, Indonesia, Australia, Austria, Belgium, Croatia, Vietnam, Gambia, Slovakia, Nepal, Romania, Saudi Arabia, Israel, Sri Lanka, Iraq, Japan, Morocco, Taiwan, Ukraine, Macau, Iran, Bulgaria, Nigeria, Trinidad & Tobago,Tunisia, Mongolia, Namibia, Bhutan, Mexico, Turkey, Malaysia, Libya, United States, France, China, Iran, Norway, Jordan, Bahrain, Kenya, Singapore, Poland, Switzerland, Puerto Rico, Greece, Costa Rica, Czech Republic, Tibet, Qatar, Mexico, Russia, Brazil, Sweden, Afghanistan, Italy, United Kingdom, Chile, Colombia, Bangladesh, Denmark, Philippines, India, South Africa, Finland, Portugal, Pakistan, Germany, Oman, South Korea, Kuwait, Algeria, New Zealand, Ireland, Ghana, Hong Kong, Venezuela, Thailand, Egypt, Chile, Angola, Poland. We are Suppliers of Screw in India Such as Mumbai, Kuwait City, Los Angeles, Kanpur, Santiago, Al Khobar, Caracas, Gurgaon, Dallas, Petaling Jaya, Ho Chi Minh City, Karachi, Thane, Ahvaz, Kolkata, Muscat, Chennai, Vung Tau, Jakarta, Hyderabad, Ankara, Granada, Navi Mumbai, Abu Dhabi, London, Gimhae-si, Istanbul, Doha, Montreal, Howrah, New Delhi, Bengaluru, Faridabad, Jaipur, Houston, Mumbai, Lagos, Geoje-si, Toronto, Visakhapatnam, Melbourne, Al Jubail, Sydney, Bangkok, Milan, Ernakulam, Haryana, Chiyoda, Moscow, Hanoi, Jeddah, Nagpur, Thiruvananthapuram, Coimbatore, Calgary, Bogota, Ahmedabad, Secunderabad, Cairo, Pimpri-Chinchwad, Rio de Janeiro, Mexico City, Port-of-Spain, Vadodara, Aberdeen, La Victoria, Noida, Ranchi, Riyadh, Brisbane, Atyrau, Manama, New York, Dammam, Sharjah, Ulsan, Edmonton, Jamshedpur, Madrid, Singapore, Courbevoie, Baroda, Seoul, Tehran, Perth, Ludhiana, Dubai, Bhopal, Kuala Lumpur, Chandigarh, Lahore, Busan, Pune, Algiers, Nashik, Rajkot, Hong Kong, Colombo, Indore, Surat.